The Dopecoin (DOPE) team is proud to announce the beta release of its custom-built payment gateway. Crypto Billings is designed to provide a seamless experience for popular E-commerce platforms to integrate cryptocurrency payments into their online retail operations. 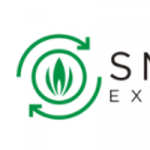 The release of Crypto Billings marks the achievement of an important milestone in the Dopecoin / Smoke Exchange (SMX) development roadmap. Crypto Billings will function as an essential bridge between retailers in the legal marijuana industry, Dopecoin, and The Smoke Exchange advertising platform. The payment gateway provides an easy on-ramp for retailers with its plugin for the popular WooCommerce platform. The easily installed plugin will allow retailers to quickly adopt our secure cryptocurrency payment method into their online retail operations. 100% security for retailers and customers. Payments from customers are transferred automatically to the retailer’s wallet and are never held online. Every transaction is individually recorded and provides merchants with a detailed report of each and every sale. Accurate pricing and risk mitigation in volatile markets. Crypto Billings technology pulls real-time currency values directly from coinmarketcap.com to ensure merchants are displaying accurate, up to the minute pricing at all times. When combined with the auto-sell feature on an exchange like Bittrex, retailers can eliminate the risk associated with holding altcoins in volatile markets. Risk mitigation will also be possible by immediately liquidating supported currencies directly into advertising budget on The Smoke Exchange when the platform launches in Q1 of 2018. Currently, there are ZERO payment fees associated with using the Crypto Billings payment gateway. The plugin and payment gateway service are both 100% free, completely eliminating the merchant fees associated with being paid via credit card. Open up your customer base to a wider audience with ease and security. No matter where they are in the world or what their local fiat currency is, they will still be able to pay you instantly with crypto. Cryptocurrency adoption is growing exponentially. Stay ahead of the curve by providing your customers with access to the latest cutting-edge innovations in blockchain technology while simultaneously increasing your own foothold in burgeoning cryptocurrency markets. Although initially, Crypto Billings will only process payments for DOPE, it has the capability to incorporate all of the most popular cryptocurrencies. Retailers will be able to provide customers the freedom and flexibility to pay in whatever currency they choose. DopeCoin will be the only marijuana-related cryptocurrency that Crypto Billings will provide payment processing services for. This allows DopeCoin investors the opportunity to reap the benefits of the DopeCoin development teams hard work. Scheduled to be completed by the end of 2017. Plugins and extensions for other popular E-Commerce platforms are still under development and are scheduled to be released in the future. Crytpo Billings will process payments utilizing the tokens from The Smoke Exchange as soon as the advertising payment platform is released in Q1 2018. Currently, the SMX tokens from round 1 of the ICO funding have been released to investors. 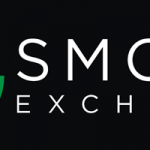 SMX tokens have not yet been listed on any public exchange. Tokens will become available to the general public again during the second phase of ICO funding (without the bonuses offered to those participated in Round 1) scheduled to open before the end of December 2017. The Public Beta release and exchange listing of The Smoke Exchange is scheduled for Q1 2018.